A recent study by the University of Miami studied the effects of meditation developed by the Mind Fitness Training Institute for the US Marines. 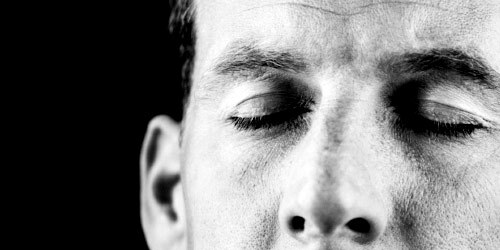 The soldiers spent between 12 to 15 minutes a day engaged in mindfulness meditation—which, explained simply, is a focused concentration on the present. For example, sitting in a chair, eyes closed, focused on nothing but your breathing, and the feeling of the air coming in and out of your lungs. The Marine Corps was formed by the Continental Congress in 1775. The result? Researchers reported that the Marines who meditated scored better on mood and memory evaluations, They also found improved athletic ability, relief from anxiety and better sleep. Of course, you don't need to be on the front lines to suffer from unhealthy stress, which can weaken the immune system and wreak havoc on your mood and memory. Sometime during your likely over-scheduled day, in between bouts of texting and emailing, find some time to unplug. You don't need any special equipment, it's completely free (and freeing). Find a relatively quiet place to sit and focus your mind on the point of contact where your body is touching the chair (or floor). Breathe slow deep breaths. If your mind wanders, bring back your focus to that point. While still aware of that sensation of contact, concentrate on a single sound, like the traffic outside or the subtle hum of a computer. Do this for five to 15 minutes. Want to get to sleep fast? Lying down in bed, curl your toes and flex your feet. Concentrating on the feeling in those muscles and joints, continue up your leg, rotating your feet at the ankles, stretching your calves, all the while focused only on those particular sensations. Wiggle your fingers and wrists, press your shoulders back and then stretch and rotate your neck. Keep your concentration on your body and within 15 minutes, you'll be asleep.